The idea about geomagnetic field being an important factor for climate changes, isn't anything new for the science. Sadly, this subject needs a much deeper research, as the mechanism of such correlation still doesn't have a single and self-consistent explanation. Most known and accepted theory, tells about an indirect influence of Earth's magnetic field on climate, being a factor, which regulates the density of Galactic Cosmic Rays (GCR's) in atmosphere - what suppose to be affecting the density of cloud layer, resulting finally in the changes of global temperature. However entire mechanism is still poorly understood, while the whole correlation started to weaken during last couple years. "Of itself, this is an interesting and plausible result, and if it stands up to more detailed scrutiny it may prove an important contribution to aerosol microphysics," says atmospheric scientist Hamish Gordon, from the University of Leeds in the UK. 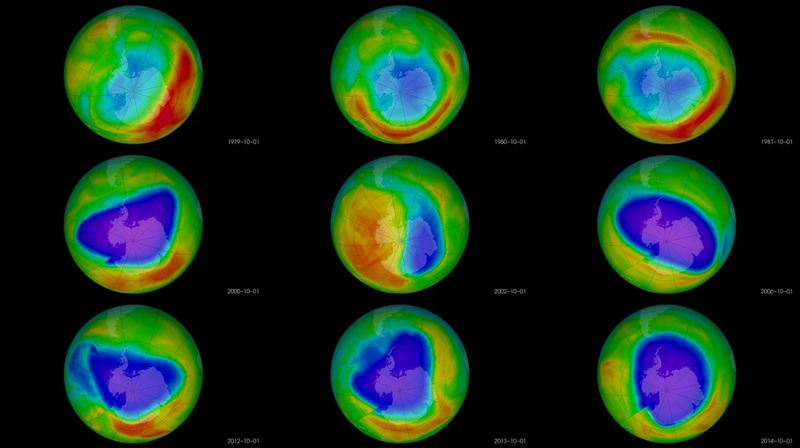 "However, it is very far from 'the last piece of the puzzle explaining how particles from space affect climate on Earth"
To be more specific, there are couple proposed mechanisms of correlation between ozone layer and geomagnetic field. One of them includes as well the density of CR's, as a factor responsible for O3 depletion. 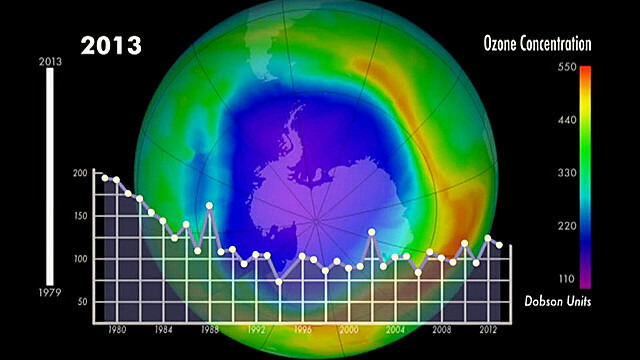 According to another one, Ozone depletion is caused by Nitrogen Oxides (NOx) - which can have anthropogenic or natural origin. Another possible cause is the instability of Interplanetary Magnetic Field (IMF) orientation during the time of enhanced space weather activity. However it's the Solar Proton Events (SPE's), which have the strongest and most visible effect on O3 distribution in ionosphere. Last edited by AstralTraveler; January 21st, 2018 at 01:02 AM. I'm aware, that according to professional opinions of some REAL and certified scientists on this forum, researching a possible correlation between geomagneic field and climate changes, is just like researching the "dome of heavens" over flat Earth (at least, that's what some of them told me). Of course, being just a humble amateur I'm simply not in the position, to disagree with absolutely reliable opinion of someone, who has a complete knowledge of this subject. However as a total ignorant, I still have the right, to try defending those absolutely plain and completely pseudoscientific claims, with statements, which were made by people, who are much smarter and better educated, than me (but of course, not as smart and competent, as some real scientists on this forum). Let me begin with the publication, titled: "Are there connections between the Earth's magneticfield and climate?" "In conclusion, correlations between magnetic variationsand climate may be more significant thanpreviously realized. We see that no forcing factor, be itchanges in CO2 concentration in the atmosphere orchanges in cosmic ray flux modulated by solar activityand geomagnetism, or possibly other factors, can atpresent be neglected or shown to be the overwhelmingsingle driver of climate change in the past century. Mostof the time, the prime, joint forcing factor is in solarvariations (at the decadal time scale) or orbital forcing(at the Milankovic scale). The Sun is clearly a significantdriver of changes not only in climate but in theoverall behavior of the ionosphere and magnetosphere,and external geomagnetic field; this modulates incomingfluxes of cosmic rays which are increasingly recognizedas potential drivers of changes in cloud coverand albedo. The work of Le Mouël et al. , based onvery sensitive yet robust magnetic indices, shows thatthis situation may have prevailed until the mid-1980s.At longer time scales, we have seen that changes in theinternal geomagnetic field itself might somewhatunexpectedly trigger significant climate change: archeomagneticjerks may be the only evidence that changesin the internal magnetic field itself can at times have asignificant influence on climate, possibly through thecosmic-ray/low-cloud connection at times of extremaltilt of the dipole. Although still in need of confirmation,their detection is therefore particularly exciting: Galletet al. have recently underlined a potential connectionbetween these geomagnetic events and somemajor societal changes in the Middle East throughclimatically driven environmental fluctuations (Fig. 5).A correlation at the longer time scales of Milankoviccycles remains very speculative at this time." "Quantitative analyses of actual measurements rather than modeling have shown that “global warming” has been heterogeneous over the surface of the planet and temporally non-linear. Residual regression analyses by Soares (2010) indicated increments of increased temperature precede increments of CO2 increase. The remarkably strong negative correlation (r = -0.99) between the earth’s magnetic dipole moment values and global CO2-temperature indicators over the last ~30 years is sufficient to be considered causal if contributing energies were within the same order of magnitude. Quantitative convergence between the energies lost by the diminishing averaged geomagnetic field strength and energies gained within the ocean-atmosphere interface satisfy the measured values for increased global temperature and CO2release from sea water. The pivotal variable is the optimal temporal unit employed to estimate the total energies available for physical-chemical reactions. The positive drift in averaged amplitude of geomagnetic activity over the last 100 years augmented this process. Contributions from annual CO2from volcanism and shifts in averaged geomagnetic activity, lagged years before the measured global temperature-CO2values, are moderating variables for smaller amplitude perturbations. These results indicated that the increase in CO2and global temperatures are primarily caused by major geophysical factors, particularly the diminishing total geomagnetic field strength and increased geomagnetic activity, but not by human activities. Strategies for adapting to climate change because of these powerful variables may differ from those that assume exclusive anthropomorphic causes. “Global warming” is a term applied to the approximately 1˚C averaged increase in terrestrial surface temperature that has been measured over the last ~150 years  . According to Soares  , there has been an enhancement of this warming between approximately 1975 and 1998. There have been multiple concurrent solar and geophysical variables that have accompanied this mild increase in terrestrial surface temperature. 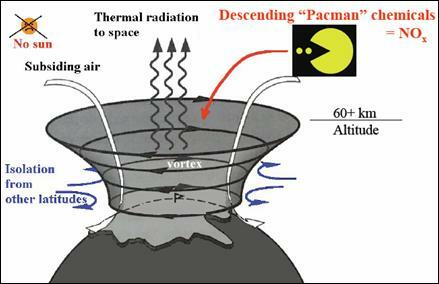 They include lower cloud cover and hence greater total solar irradiance  , expansion of the solar corona and increased geomagnetic activity  , a 10% increase in water vapor within the atmosphere  and the physical chemical consequences of the earth’s magnetic dipole moment  . However, the primary explanation for generic global warming has been attributed to human activities, particularly the combustion of fossil fuels, that releases CO2 into the atmosphere. Predictions for future global temperature changes have been almost exclusively based upon models rather than extracting recondite relationships within actual measurements. Here we present quantitative evidence that although global warming has been occurring recently, the primary source may not be caused by release of CO2 from human activities but from physical processes strongly coupled to the diminishing magnetic dipole of the earth as well as enhanced geomagnetic activity due to shifting parameters within the movement of the solar system." And now it's time to speak about officially accepted scientific facts, regarding DIRECT influences of geomagnetic field on neutral part of atmosphere and circulations of airmasses. It is a well established knowledge, that geomagnetic field induces physical pressure on atmosphere, even on the sea-level. Air pressure systems follow open magnetospheric field lines actively shaping the circulation of airmasses. Magnetic field lines pass through all layers of atmosphere and affect the oceanic currents. This isn't a blog, it's science discussion forum. A discussion doesn't mean monopolizing with long diatribes taking broad swipes against science riddled with a multitude of erroneous declarations. Discussion means releasing bits here and there as it reinforces the bite-sized point you want to make and in response to other's comments and bite-sized information. Well, somehow nobody wants to discuss with the science, which I presented here. For some reason, you want discuss this subject in another thread. I think, that I have the right the right to present another bit of science, to see, if someone have something to say... Or not? "The Arctic stratospheric polar vortex is a region of strong winds between about 10 and 50 km in altitude encircling the North Pole during winter. Changes in the strength and location of the vortex can affect the weather below. Several recent studies have proposed that the vortex has shifted away from the pole and weakened from 1980 to 2016 as a result of declining sea ice in the Arctic. This study first looks at different measures for vortex changes using two observationally based data sets. Only one measure, the centroid latitude, has a trend which is statistically significant. Next it is investigated whether these trends can be attributed to anthropogenic changes (such as sea ice decline) or natural climate variability by using a large number of climate model simulations. Some of these simulations have increasing greenhouse gases, and others are fixed at preindustrial conditions. Despite large differences in sea ice between the two sets of simulations, there is not a large difference in the likelihood of vortex trends. 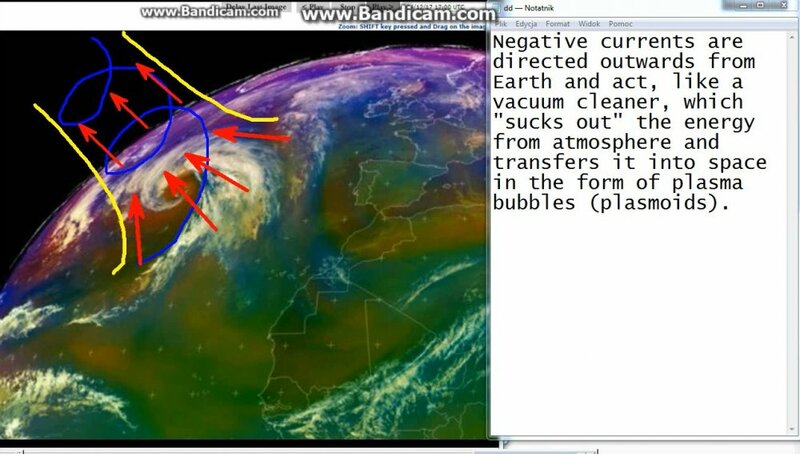 This suggests that the weakening and shift of the vortex is primarily a result of natural internal climate variability." "The North Atlantic Oscillation (NAO) is the prominent pattern of winter climate variability that has a strong effect on weather in the North Atlantic region and the adjacent continents. At present, uncertainty prevails as to the mechanisms controlling the variability of the NAO. It is also difficult to explain why the positive phase of the NAO has prevailed over the past 37 years (1972–2008). We found high positive correlation coefficients between geomagnetic activity (used as a measure of solar wind intensity) and the NAO indices that equal 0.76 for 1962–1994 and 0.63 for 1961–2011. Positive correlations of the distribution of surface air temperature with the NAO and similarly with geomagnetic activity occur in the Northern Hemisphere. These results encourage our search for possible causes controlling the NAO. We have found that at times of high geomagnetic activity the NAO index is positive and magnetic reconnection may enable the solar wind to initiate downward winds in the magnetosphere. Wind anomalies originate at the edge of the stratospheric polar vortex and propagate downward through the troposphere taking part in the intensification of the vortex and of the westerlies. Stronger northerly winds over Greenland carry cold air southward and, together with the enhanced westerlies, advect the warm air from the Atlantic along the deep Icelandic low into Eurasia increasing temperatures there. On the other hand, at times of low geomagnetic activity, the NAO index is negative and the stratospheric polar vortex is weak. Warm air from the subtropics is carried into the Arctic and a rapid amplification of planetary waves propagating upward may cause displacement or even splitting of the weak vortex and sudden stratospheric warming. During this negative NAO phase the weakened westerlies allow more cold air to build up over North America and Eurasia." 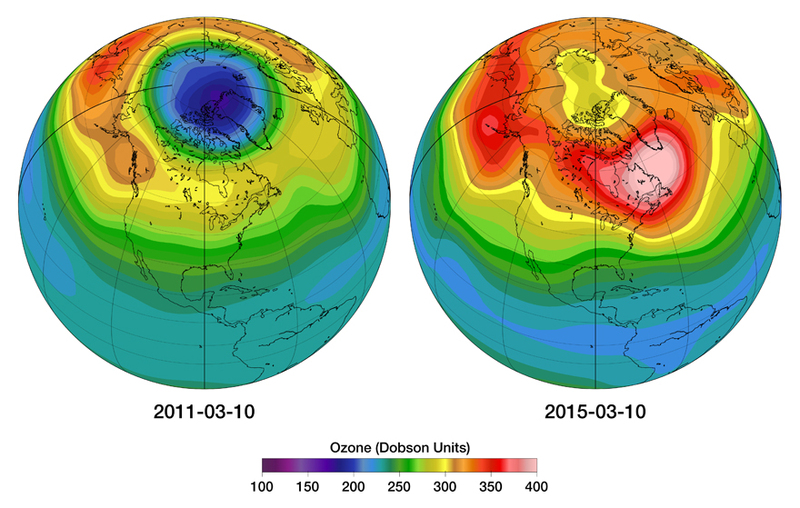  Magnetic field changes are as important for upper atmosphere climate asthe increase in CO2concentration! Last edited by AstralTraveler; January 27th, 2018 at 07:51 PM. That's a little better. But here's where your links suggest the forcing probably isn't important compared to greenhouse gas forcing. The Cnossen , Liu, and Lu (2016, in review) paper shows a tiny 1K change in surface T response over a relatively small area. Climate models and observational data both show more than a large area 4K average annual response already due to green house gas changes and predictions of more than 8K by mid to late 21st century. "While CO2 causes heat to be trapped in the lower atmosphere, it actually cools the upper atmosphere. The simulations show that the increase in CO2 concentration over the past 100 years has caused the upper atmosphere, at around 300 km altitude, to cool by around 8 degrees. At the same altitude, changes in the Earth's magnetic field caused a similar amount of cooling over parts of North America, but caused a warming over other parts of the world, with the strongest warming, of up to 12 degrees, located over Antarctica.Dr. Ingrid Cnossen said: "Computer simulations are a very important tool in understanding the causes of climate change at high altitudes. We still can't explain all of the long-term trends that have been observed, but it helps that we now know how important the magnetic field is." The new simulations also indicate that rising CO2 levels have caused the densest part of the ionosphere to lower by about 5 km globally. Changes in the Earth's magnetic field can cause much larger changes, but they are very dependent on location and can be either positive or negative; over the southern Atlantic Ocean a decrease in height of up to 50 km was found, while an increase in height of up to 20 km was found over western Africa." "Long-term trends in the upper atmosphere do also not needto be spatially homogeneous. Unlike the effects of increasedCO2 levels, the effects of the changing geomagnetic field aredistinctly non-uniform across the globe, which could helpexplain why different long-term trends, sometimes even ofthe opposite sign, have been observed at different ionosondestations. This result implies as well that the study of spatial patternsof long-term trends could reveal important clues to thecauses of those trends." The temperature anomaly map shows nicely, how the CO2 concentration and total intensity of geomagnetic field affect the climate over N Hemisphere - those 2 "cold spots" over Siberia and E Canada match nicely to the magnetic field map, while the CO2 rises temperature over entire hemisphere. Last edited by AstralTraveler; January 28th, 2018 at 12:06 AM. What level is the first chart? The chart doesn't speak for itself -- don't see GISS data for that lat band at the surface that matches . . I don't doubt GME and solar cycles play a pretty large role in upper atmospheric climate-- the doubt is about what influence is has on the lower atmosphere and surface where life is compared to greenhouse gas forcing. (its clearly a relatively important natural forcing without man-made carbon emissions. The CO2 chart total variance is only about 2 %, not sure what point this makes for you. Third and forth chart....cherry picked for one December when there seems to be a match between T from normal and GME? Why compare field strength to T anom, to make a point we should be comparing T anoms to GMF anoms over many periods. Last edited by Lynx_Fox; January 28th, 2018 at 11:04 AM. What level is the first chart? The chart doesn't speak for itself -- don't see GISS data for that lat band at the surface that matches . . I don't doubt GME and solar cycles play a pretty large role in upper atmospheric climate-- the doubt is about what influence is has on the lower atmosphere and surface where life is compared to greenhouse gas forcing. (its clearly a relatively important natural forcing without man-made carbon emissions. "According to Selvam et al. (1997) who say: "Obser- vational studies indicate that there is a close association between geomagnetic Storms and meteorological parameters. " Geomagnetic field lines closely follow the isobars of surface pressure (King, 1975). As geographical differences in surface pressure represent net forces that drive the atmospheric circulation, I winds may be influenced by the geomagnetic field if the geomagnetic field influences the pressure. This hypothesis may explain the alleged dependence Of westerly winds on the solar cycle, as the solar wind is enhanced and the IMF is stronger during sunspot maximum." 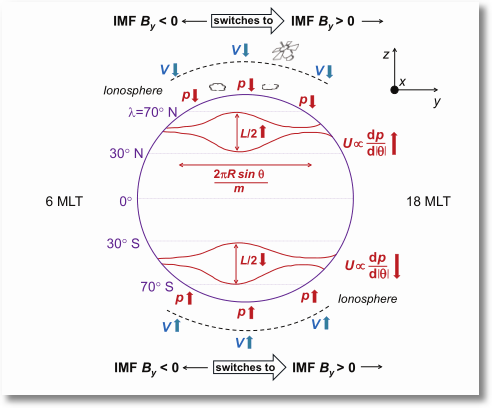 "The meteorological response (e.g., of surface pressure) in the polar regions to fluctuations in the interplanetarymagnetic field (IMF) By component (the ‘Mansurov effect’) has been proposed to occur via superimposed changesof the ionospheric potential on the global atmospheric electric field. Previously we have shown, in a time-averagedstudy, that the Mansurov effect also results in mid-latitude (40◦-70◦) changes to the latitudinal pressure gradient(and the zonal wind field), and thereby the atmospheric Rossby wave field. Since the evolution of storm tracks canbe highly sensitive to Rossby wave dynamics, the IMF can in principle also significantly influence the evolution anddistribution of atmospheric vorticity. Over the last 40 years, convincing evidence has accumulated for the ‘Wilcoxeffect’ - the correlation between the time of reversals in polarity of the IMF (crossings of the heliospheric currentsheet) and decreases in the winter tropospheric low-pressure vorticity at mid to high latitudes. 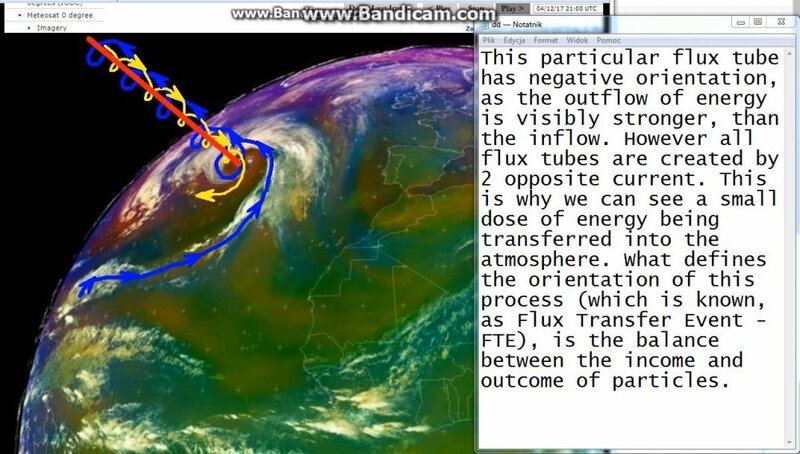 It has been suggestedthat such changes to storm vorticity are due to the occurrence of reductions in the relativistic electron flux duringHCS crossings, and associated changes in the ionosphere-Earth current density. 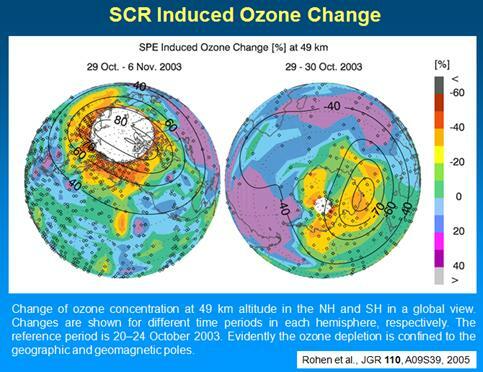 To investigate further possiblemechanisms for the Wilcox effect, we conduct a superposed epoch analysis (SEA) of the global atmosphericpressure at the Earth’s surface using NCAR/NCEP reanalysis data ordered according to HCS crossings. We usea similar SEA of solar wind data (including both IMF By and Bx) to investigate the role of the high-latitudeMansurov effect (and other mechanisms) in the mid-high latitude Wilcox effect. We discuss our results in thecontext of our previous time-averaged global study." And still there's a visible correlation between variable density and the temperature over both hemispheres. Last edited by AstralTraveler; January 28th, 2018 at 02:07 PM. HADLEY isn't the same as GISS...not the same. I understand your point though. What's missing is GISS now shows more than a 3C gain, (in many parts 4C), as I said before. I've already said that GME might be important as a natural forcing for high latitudes in the absence of anthropomorphic forcing of carbon-- now though it appears completely overwhelmed. I'm not sure what you aren't understanding this. An imaginary one if you looking for a pattern. It's nowhere near to a match, look at North America. You missing the point entirely. One is actual GME field strength the other in the anom from some average T for December. It's apples and oranges comparison. To make your case you need to show GME anom for many Decembers as compared to amon in surface T for those same months. Last edited by Lynx_Fox; January 28th, 2018 at 03:17 PM. And I say, that there's a direct correlation between geomagnetic field and atmospheric pressure at sea level and atmospheric vorticity - and those are generally accepted scientific facts. There is no such thing, as records of monthly GMF anomaly. Long-term GMF changes are measured yearly, while short-term disturbances are connected with solar activity and can't be compared with seasonal measurements. The point is, to compare the dislocation of magnetic poles to monthly T anomalies. If you want to track short-term data, then you need to use daily readings from ground magnetometers and solar wind recordings to compare it to satellite images or weather models. There is no such thing, as records of monthly GMF anomaly. Then there is no point whatsoever to compare them with monthly T anomaly since you cannot even really infer that GMF a change in the GMF anomy or ever longer period field is related to T. If a month is too short than why didn't you pick something longer? The point is, to compare the dislocation of magnetic poles to monthly T anomalies. A meaningless comparison since we had no way of know whether or how the shifting poles are changing, and therefore can't really compare it to any other changing variable. hort-term disturbances are connected with solar activity and can't be compared with seasonal measurements. Solar activity changes span from days to decades; I'm not so sure about season changes, but it's certainly measurable in yearly trends across regions, though as I've said all along, now a relatively minor contribution as compared to long-term changes in greenhouse forcing. You couldn't be more wrong... Orientation of geomagnetic field is being tracked both from space and on the surface. Almost every research satellite has a on-board magnetometer, while on the ground there are hundreds of magnetometer stations. Geomagnetic storms are maximally 2-3 days long. During solar minimum, space weather activity depends mostly on Coronal Hole Streams (CHS), which affect Earth every 1,5 to 2 weeks. During solar max, there are also flares and CME's - which don't have any specific periods of occurence. Last edited by AstralTraveler; February 7th, 2018 at 01:26 PM. I should have more correctly stated you haven't provided that information, nor do the 3 links you provided. Don't expect others to do your work in supporting an argument. Showing the change over a similar period as the T anom.... better yet show a series of various periods (aka some change versus some change in a different variable).... than and only than have you even shown there might be some correlation--so far something you've completely failed to even acknowledge you should be doing. You then have to show causation--but one step at a time I suppose. I should have more correctly stated you haven't provided that information, nor do the 3 links you provided. Don't expect others to do your work in supporting an argument. Well, I've guessed, that someone, who wants to argue about the subject, which I'm trying to explain, suppose to have somekind of knowledge about the science, which is being discussed. I think, that you might actually have the knowledge regarding the meteorology and climate, but you didn't learn too much about geomagnetism, heliophysics and space weather. Honestly, the science, which I'm using here isn't too advanced or complicated. All you need to do, is to read the content of couple internet sites... Or you can always ask me, if you have some issues with my explanations - however instead of asking or researching the science, which I discuss here, you prefer to simply assume, that I'm completely incorrect. Believe me - I have already everything, to assure you, that 95% of my claims in this thread is absolutely consistent with generally acccepted science (I'm leaving those 5% just in case :P). You just need to find some patience, as this subject is quite big - and explaining it in all possible aspects would take a LOT of my time and efforts. Sadly, I'm an amateur scientist and I can't spend a whole week, writing down everything, what I've learned during last 4 years, or so. It takes me quite long to formulate something readable, as I'm not a native english speaker. Showing the change over a similar period as the T anom.... better yet show a series of various periods (aka some change versus some change in a different variable).... than and only than have you even shown there might be some correlation--so far something you've completely failed to even acknowledge you should be doing. You then have to show causation--but one step at a time I suppose. Last edited by AstralTraveler; February 8th, 2018 at 03:51 AM. You've still completely failed to show any correlation between trends in the ionosphere, where the topic you're familiar with is happening and effects in the lower atmosphere. Your anecdotes might be useful if you can show they represent an example of some phenomena based on a series of observation--- thus far you haven't done that. I bothered to watch your video, and was saddened by yet another example (e.g. 10:08) when you tried to overlay some ionosphere flux over what was obvious to my trained eye a classic extratropical cyclone, including the classic frontal structures, comma, displaced upstream mid-high tropospheric trough, and cloud field from overrunning to the E etc--it was not only a bad example but in large part completely refuted your claims. Again as I asked before rather than cherry pick a few events, which in this case are unremarkable and even than don't seem to support your claim, find some directly comparable events... or since your claim is 95% (suggesting you have at least 20), a series. You chose a month of T anoms but still haven't be able to show GME anoms so we can match them up, for either your own example Dec17 or any time period. Until you do so you haven't started to make a good argument. Last edited by Lynx_Fox; February 9th, 2018 at 08:12 AM.